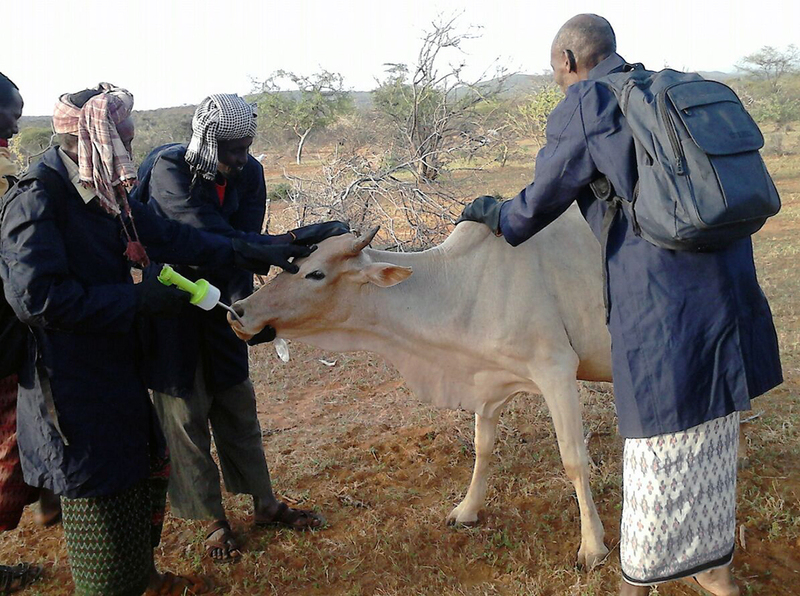 Mercy-USA offers veterinary support to Somali pastoralists who have been struggling to keep their flocks healthy due to severe conditions caused by drought and war. 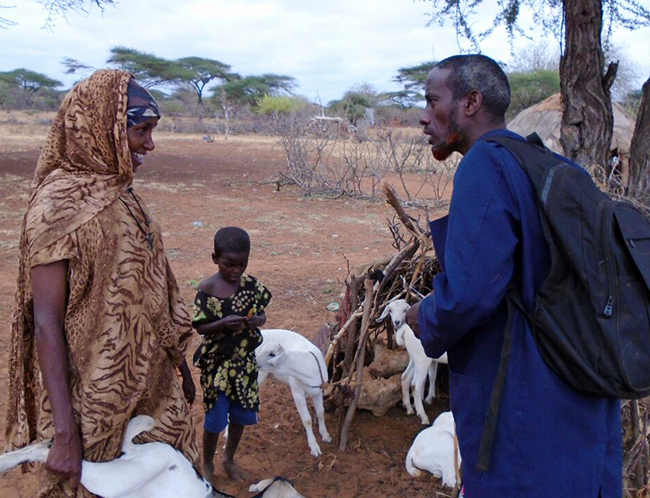 Ibrahim Alio, his wife and their 8 kids depend on the success of his flock of livestock in Somalia. Being a pastoralist is the traditional way of life for rural Somalia, but drought and war made it increasingly difficult for Ibrahim to support his family. The worst days came when his flock of 200 goats began dying from disease—in one month his flock was reduced to just 25 goats. He had no access to veterinary help, the veterinary drugs found in his local market were often fakes and even with that the cost was out of reach without selling off some of his stock to purchase the medicine and the vicious circle resulted in desperation for the family. Families like Ibrahim’s received help when Mercy-USA stepped in and began offering veterinary support services, including quality drugs and skilled veterinary services. Ibrahim reported that the prices in the marketplace for his livestock increased by 400% in one year. Success for Ibrahim is success for his children’s education and the community as a whole. Your generous charitable gift supports Mercy-USA’s work in Somalia.